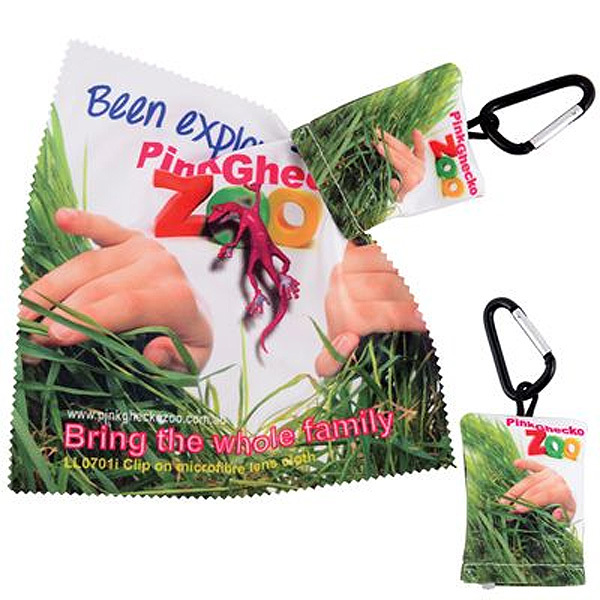 Superior microfibre cloth, sewn into pouch with handy carabiner attachment. Suitable for cleaning sensitive surfaces, and lenses. 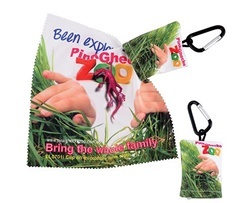 4 Colour Process sublimation print on pouch, and 1 side of lens cloth.